- Viewer name: This is what your viewer will be called in the "Viewer" page of the Publicator, and any viewer-select menus. Each viewer on your account (or sub-account) must have a different name. 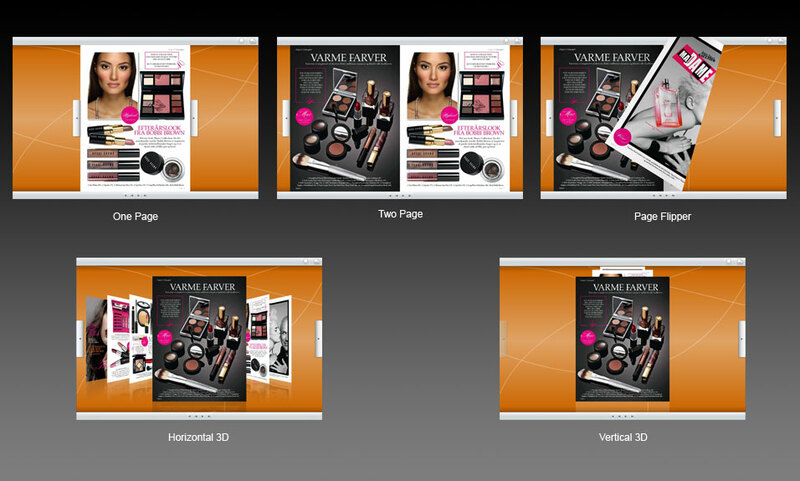 - Viewer mode: Select whether this viewer will display just one publication, or be able to swap between several. - Fit to browser: Take up entire space provided by browser. - Fit to publication: Take up as much space is needed to display the publication. - Fixed: Take up a specified amount of space in pixels. - Percentage: Take up a percentage of the space provided by browser. - Height: Choose from one of four sizing options (see above). - Minimum size: In pixels, set the smallest size allowed for the viewer. - Maximum size: In pixels, set the largest size allowed for the viewer. - Margin inside browser: Add space around the publication within the area provided by the browser. - Maximize browser window: If this is checked, the window the publication resides in will be automatically maximized on viewer load. - Page shadow: Select a graphical effect separating left and right page. - Enable page-turn by dragging corner: Allow readers to turn pages by clicking and dragging any corner. May interfere with clicking on content very close to the corners of pages. - Zoom enabled: Determine whether or not zooming will be possible. - Zoom panning: While zoomed, will the page move with the mouse, or only move when clicking and dragging? - Zoom type: Do you want the zoomed content to fill the same space the publication normally occupies, or use a differently sized "zoom window"? - Zoom view type: Will both pages of the spread be available once zoomed in, or only the page that was clicked to zoom? - Zoom window size: Do you want the zoom window to take up only the space allowed for the publication normally, or the entire browser window if needed? - Zoom window maximum size: In pixels, set the largest size allowed for the window used in "zoom window" mode..
- Zoom window margin inside browser: Add space around the zoom window within the browser window. - Zoom navigation buttons: What type of page turn buttons will be available when zoomed in on the publication? - Include thumbnail view: Enable or disable showing page thumbnails. - Location: Where to display.